Relax and enjoy the game!Swipe your finger to shoot the balls andbreak the bricks to score.Try to play as long as possible to beatyourself best scores.Collect coins to unlock new background duringgame and save it for spending more features in future update.GameFeatures:_ Free to play_ Endless gameplay_ Easy to play and killingtime._ Having background shop update regularly for you to buy moreitems. Horoquotes is a mobile application for horoscope, zodiac, tarotandmotivation quotes daily for everyone. For all fans ofhoroscope,zodiac and tarot. We’re happy to introduce our newrelease productcalled Horoquotes. This mobile application will giveyoupredictions about your horoscope and zodiacs daily withmoreinteresting features as playing tarot, numbers meaning,… Justtryto download and having good experiences on our product then giveusyour feeling about it. [How to play]Move Core Brick to the exit.Every brick has to bemoved in an elongated direction.You can't move bricks out of thebox. [Features] • Meet more than 700 brain teasing stages in 14various themes. • It's simple and easy enough for everyone to play.• There are 5 difficulty levels available for all players; fromeasy to master. • Choose and play a particular level you want totry, without having to clear in order. • Compete with other playersaround the world in a daily puzzle mode. • Take your time. There isno time limit. • Enjoy our brilliant and unique texture and sounddesign of each block. • Ask for hint when needed, and use 'Undo'feature to correct mistakes. • You don't need an Internetconnection to play the game.Play Brickscape now on your phones andtablets! [About AR Feature]Brickscape uses the ARCore servicedesigned by Google. ARCore is only supporting on the followingdevices: • Samsung Galaxy S8, S8+ • Samsung Note 8 • Samsung GalaxyS7, S7 Edge • Asus Zenfone AR • Google Pixel 2, Pixel 2XL • GooglePixel, Pixel XL • OnePlus 5 • LGE V30, V30+ (Android 8.0 or higheronly)When you launch AR function first time, the game should ask todownload of ARCore application from the Play Store. If this doesn’thappen and the game crashes, makes sure you have downloaded ARCore.To download ARCore manually, search ARCore in the Play Store or gotohttps://play.google.com/store/apps/details?id=com.google.ar.coreForany question or suggestion, feel free to let us know. We are verymuch welcome to hear from you.Please contact [email protected] any inquiry or feedback. Dash - is a minimalistic puzzle game with an unusual design andvery difficult exciting levels, so not everyone can manage tofinish them. 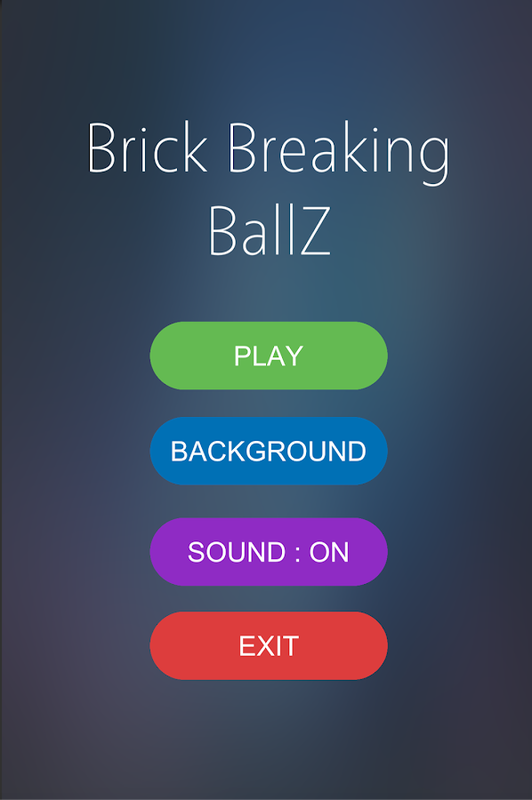 Hold the screen to aim, swipe the ball to the brick and break allthe bricks easily! Shoot and watch the chain of balls hit, bounceand break the bricks. Think strategically and make the most of thepower up. Beat your highscore and compare it to your friends. Catchsplit and bouncing items make balls more effective. Features: √Playing in one handed. One finger controls. √ Relax your brain,perfect time killer. √ Unlock new balls with special skills! √Achievements and Leaderboards. We represent your attention a continuation of the game "100 doorsworld of history".The second part of the game, "100 doors World OfHistory 2", it is a fascinating puzzle game.These are very goodpuzzle from the category "100 doors", "100 floors" or "Escape fromthe room".Immerse yourself in a different era!Find a way out of anysituation.Grow your brain by solving logic problems and at the sametime you can relax and have a good time!The main task of the game -open the door to escape from the room and open the next level! Todo - you need to solve small quest. In which you need to look foritems on the stage, to apply them, shake the device, gently tiltyour device and use your brain to solve logic task.Features:Havevery good mini puzzles!You need find the hidden objects!Completeutilization of your devices features (shake, rotate)!Beautifulgraphics!100 exciting levels!Puzzles some very interesting!You canskip hard levels for free!Game free!